Gigi here. Last week, I was in Monterey for a mystery convention. 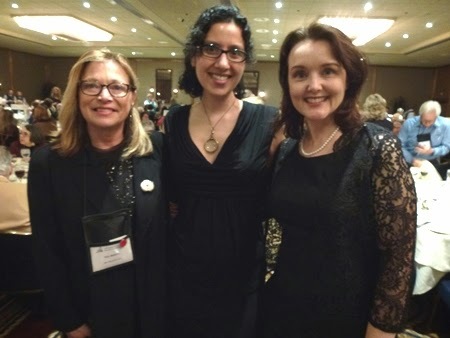 I already posted a bunch of photos from Left Coast Crime on my own blog, but I wanted to talk about a different aspect of the convention today: why conventions are so inspiring. Aspiring mystery authors quickly learn the difference between craft conferences and fan conventions. When I was learning how to write a book I attended wonderful writing conferences like the Book Passage Mystery Writers Conference. Now I primarily attend fan conventions as an author. I've heard some new authors complain that they get lost in the shuffle at fan conventions. It's true. You might not sell many books. You might be seated at a signing next to an established author who has a line of fans out the door, while you twiddle your thumbs. You might speak on a sparsely-attended panel. But you know what? None of that matters. Because you'll also meet readers you never would have connected with if you hadn't been there. You'll connect with other writers who are going through the same things you are. You'll catch up with old friends who live across the country and you only have the opportunity to see at conventions. You'll see authors who inspired you to become a writer yourself. It was an exhausting few days (especially for us introverts who need time alone to recharge), but when I returned home I was more inspired than I'd been in months. Seeing friends be brilliant on panels. Juliet Blackwell speaking on a paranormal mystery panel. 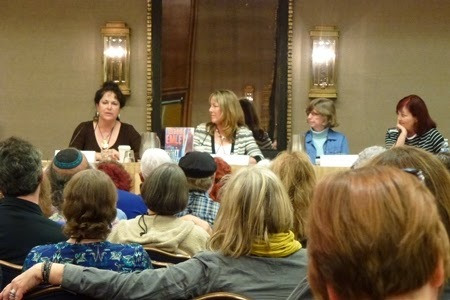 Mysti Berry speaking on a San Francisco mysteries panel. Running into one of my literary idols, who has become something of a mentor. Aaron Elkins and Gigi Pandian. Hanging out with friends I don't see nearly often enough. 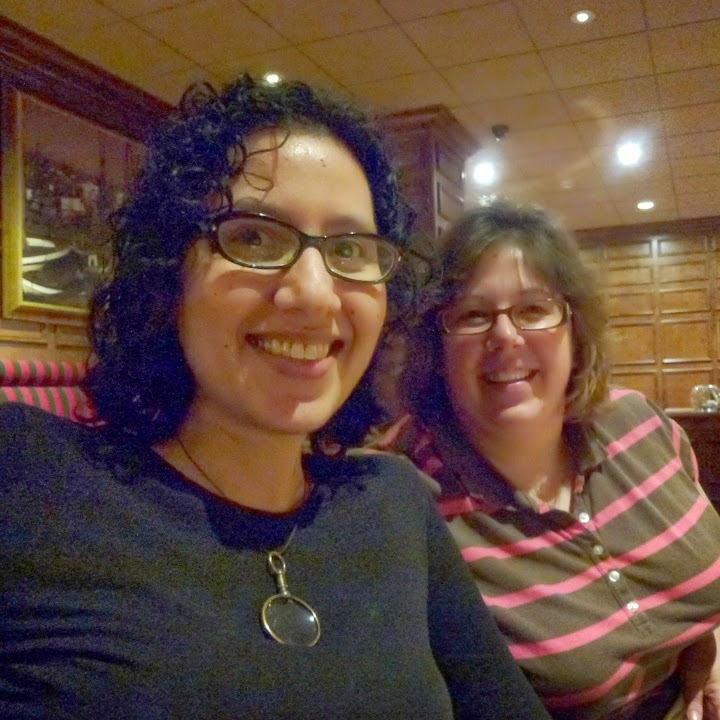 Gigi Pandian and Jen Forbus of Jen's Book Thoughts. Dressing up. I rarely have a reason to don a dress and Fluevog shoes! Pat Morin, Gigi Pandian, Sue Trowbridge (LCC Fan Guest of Honor). 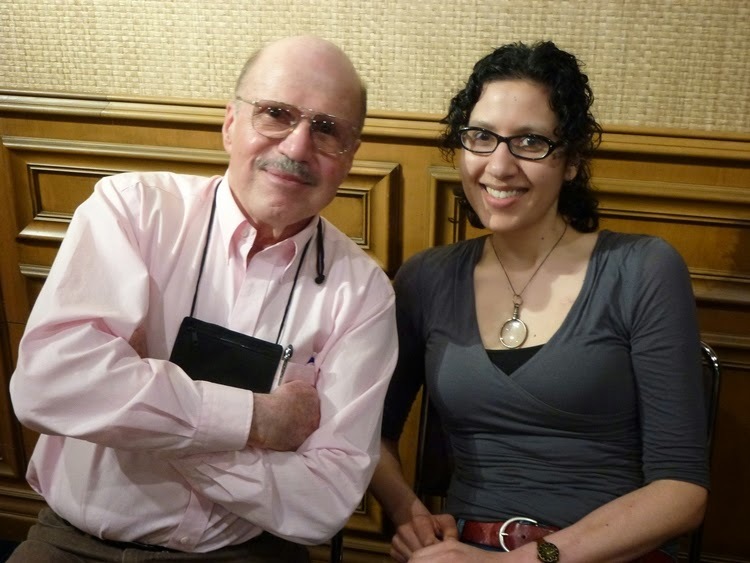 Gigi--your wonderful spirit of fun and curiosity, your open mind and your writerly work ethic are an inspiration. Thanks for this lovely post!